instructors – TAM Card® Nation in Vegas! Good news! We’re the only authorized TAM Card® provider in Nevada, so we know how important it is to provide great service to you. Along with providing training that is compliant with state laws, we want your experience to be memorable, meaningful, and convenient. We welcome customer feedback and review their requests. We can’t change the laws, but we can respond to suggestions. Our customers asked and we are answering by rolling out a new and improved classroom schedule. Starting on Friday, February 1st, we’re offering a new schedule for in-person, instructor-led alcohol awareness classes. Join us for the only instructor-led TAM Card class offered in in Las Vegas. One of the benefits of training in our classroom is the interaction with others. You’ll get the chance to interact with fellow students and our instructors. Our class groups are fun AND informative. Working together is a great way to make sure you understand all of the information. Our instructors are industry experts, and will be happy to share their tips and industry insights. You can register at our office before class starts or register on our website. We also offer online TAM Card training, available 24/7, at the TAM® of Nevada website. We look forward to seeing you soon! Welcome back for the next in our “Meet Our Instructors” series of blog posts introducing our amazing set of TAM teachers. This week, meet Mr. Steve Baker. Steve is a Certified TAM® Instructor and also has over 25 years of experience providing security, training, and investigative services. Steve is also an adjunct instructor with the University of Phoenix and the University of Nevada International Gaming Institute. He holds a Master’s Degree in Security Administration from the University of Detroit, and a Bachelor’s Degree in Criminal Justice from Lake Superior State University. Steve holds multiple instructor and instructor-trainer certifications in areas including firearms, TASER, defensive tactics, handcuffing, use-of-force, pepper spray, and expandable baton. If you’d like to attend a TAM® Class taught by Steve, you can register on our website. Steve’s teaching schedule varies by week, but you can call or e-mail us for his availability. Or, visit us for one of our regularly scheduled classes with any of our talented instructors! Welcome back for the next in our “Meet Our Instructors” series of blog posts. Before we profile another one of our instructors, we’d like to give a warm welcome to the newest TAM® of Nevada employee, Manuel. Manuel will be working at our front desk, so make sure to say “hello” when you come in for your alcohol awareness class or proctored exam. This week, let’s meet another one of our instructors, a true beverage industry expert, Mr. Mike Barden. Before becoming a certified TAM® Instructor, Mike worked at Nevada Beverage Co. for nearly 28 years, holding many roles, including merchandiser, salesman, supervisor of P.O.S department and sales supervisor. For 12 years, Mike was head of training at Nevada Beverage Co., with the responsibility of training everyone in the sales and merchandising department for their positions and making sure existing employees stayed current with company training. Now, Mike brings his real-world experience to students at the TAM of Nevada office. What’s the most important piece of advice you’d give to a TAM Card holder? Mike: Remember to ID everyone under the age of 30 and watch for fake ID’s. What originally attracted you to work in the hospitality industry? Mike: Interesting people, and the knowledge they have of gaming and hotels. What’s your favorite thing about living and working in Las Vegas? Mike: I love the climate, and get to play golf more often. I also love the variety of people here in Vegas; it’s truly a 24-hour town. If you’d like to attend a TAM® Class taught by Mike, register for a class on our website. Mike’s teaching schedule varies by week, but you can normally find him teaching students on Mondays and Wednesdays. Or, visit us for one of our regularly scheduled classes with any of our talented instructors. Welcome back for the next in our “Meet Our Instructors” series of blog posts introducing our amazing set of teachers. This week, meet Mr. Ed Prinz. 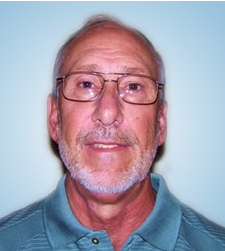 Ed is a veteran Certified TAM® Instructor and has been teaching TAM® in the Las Vegas community for over 20 years. 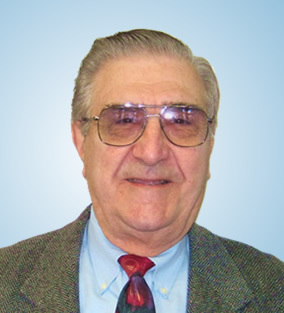 Originally from Pittsburgh, Pennsylvania, Ed moved to Las Vegas in 1977 and purchased the first of three bars/lounges, which he owned and operated. Ed worked in the title insurance industry for thirty years as the marketing vice president for Stewart Title Co. and First American Title. When he’s not teaching at the TAM® office, Ed’s hobbies include golfing, hunting, fishing, photography, and reading spy and adventure novels. His favorite authors are Daniel Silva, Vince Flynn, Tom Clancy, and Clive Cussler. What’s the most important piece of advice you’d give to a TAM® Card holder? Ed: Use your common sense! Ed: The people are really great! If you’d like to attend a TAM® Class taught by Ed, you can register on our website. Ed’s teaching schedule varies by week, but you can call or e-mail us for his availability. Or, visit us for one of our regularly scheduled classes with any of our talented instructors.